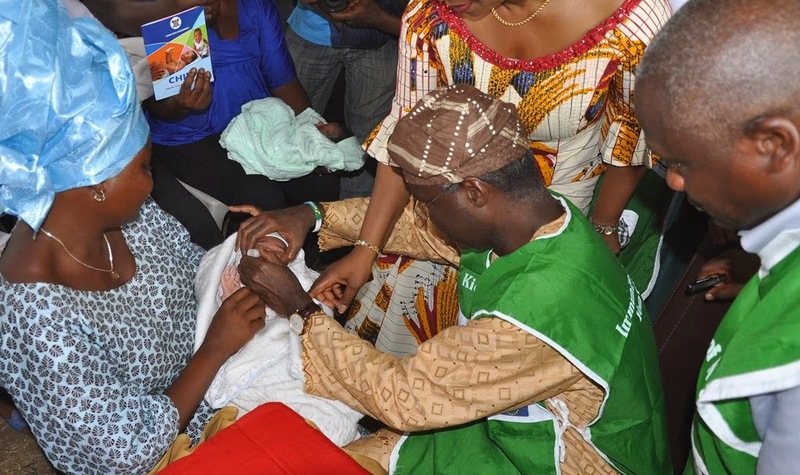 No fewer than 4.3 million children have been immunized against childhood preventable disease especially poliomyelitis in the recently concluded March National Immunization Plus Days (NIPDs) exercise in Lagos, the Special Adviser on Health to the Lagos State Governor, Dr. Yewande Adeshina has said. Adeshina said this at her office in Alausa, weekend, ahead of the this month’s National Immunization Plus Days (NIPDs) exercise which ended on Tuesday, saying the exercise covered over four million children. The four days March NIPDs was adjudged successful with 96 per cent coverage based on the State Population figure. So, in all about 8.3 million children were covered in both the first and second rounds of NIPDS. The Special Adviser also said that the Expert Review Committee on Polio Eradication in Nigeria has recommended two rounds of NIPDs in March and April 2015, targeted at all children under the age of five years. She added that these children were immunized with two drops of supplemental oral polio vaccine, while the left little finger of all immunized children marked for ease of identification. “The significance of immunization campaigns such as these cannot be over-emphasized as it is known that immunization is the most cost-effective strategy in disease prevention among children under five years of age,” Adeshina stressed. She explained that Poliomyelitis; commonly called polio is a viral disease yet to be eradicated in the country, adding that it is one of the preventable childhood diseases which is highly infectious. The disease mainly affects young children, while the virus is transmitted through contaminated food and water and it multiplies in the intestine from where it can invade the nervous system. “NIPDs campaign is essentially a Polio campaign initiated under the Polio Eradication Initiative in Nigeria which aim to increase the number of children immunized by immunizing at least 95 per cent of children aged 0-59 months with Oral Polio Virus (OPV) in all LGAs, regardless of their previous immunization status; to reduce zero dose rate, that is children that have never received immunization before; to increase routine immunization coverage; and to promote integration of other child survival”, Adeshina said. She noted that the April NIPDs campaign which was conducted for only four days; from Saturday, April 25, to Tuesday 28 stressing that the campaign involved house-to-house, transit and fixed post teams, adding, that children at homes, markets, churches, mosques, major car parks and social event venues would be specifically targeted. “Though the first day of the April NIPDs coincides with the Environmental Sanitation Day, preparations are in place to ensure thorough fare for all the implementers and monitors. The coincidence with the Environmental Sanitation Day is in effect an added advantage to the success of the exercise as mothers and caregivers would be home with their babies”, Adeshina said. The Special Adviser stated that a target population of over four million children is were covered in tandem with Lagos State Population figure in the April NIPDs exercise. She ad that the house-to-house and transit components of the immunization teams will administer only OPV to children aged 0–59 months irrespective of their immunization status and encourage the eligible children in the houses to visit the immunization posts for the other antigens. “In all, Lagos State mounted 752 fixed posts, 2,189 house-to-house, and 1,712 transit Teams.” she explained. While noting that the immunization service is free, Adeshina appealed to parents and caregivers to ensure that all children under the age of five received polio vaccine, irrespective of their immunization status from health workers during the exercise which was conducted between Saturday, April 25 and Tuesday 28. Children requiring other antigens apart from OPV should were taken to the nearest primary healthcare centre where they received full vaccination from other childhood killer diseases. She further encouraged all Executive Secretary of the Local Government Areas and the Local Council Development Areas to be extremely committed and go the extra mile to ensuring the success of the campaign and promote good health of children by supporting the campaign with their attendance, especially at the daily review meetings, financially and morally. “Together, we can eradicate polio from this Great Nation, even as we have made giant strides in recent times with regards to this goal. The solution is to ensure that all eligible children are immunized” Adeshina stressed.